Now, when it comes to naming most things, shorter is better. And if that were the case, then this URL would probably be among the worst ever. But when it comes to internet headlines, longer is usually better. Because the longer a headline is, meaning the more keywords you can stuff into it, the more likely it is going to be picked up by search engine bots crawling the internet. And look at the keywords in this URL: Zombie … errors … credit reports. Those are sure to be picked up and on the screens of consumer advocates the next time they go looking for a drum to bang. That brings us to the “Consumer Reporting Fairness Act,” a piece of legislation introduced last month by none other than Sen. Sherrod Brown. 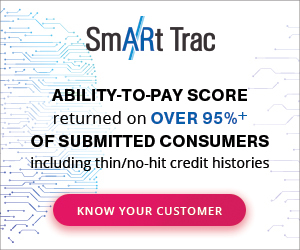 The legislation is aimed at making sure that debts that are paid off or discharged through bankruptcy are removed from consumers’ credit reports in a timely manner. Let’s put that aside for a moment and look at Sen. Brown’s voting record. According to the U.S. Chamber of Commerce, he has an “anti-business” voting record. Last year, he co-sponsored the Bank on Students Emergency Loan Refinancing Act, which would allow certain types of borrowers to refinance their student loans. He voted in favor of creating the Consumer Financial Protection Bureau and voted against a bill that would have given federal pre-emption over state consumer financial laws. In short, he is probably not on the Christmas card list of many financial institutions. The only time he gets a notice from the bank is when his statement is mailed to him. • What expectations do you have of financial institutions for structuring debt-sale arrangements in a manner that is safe, sound, and promotes fair treatment of consumers? • How does your agency examine for compliance with any guidance, including the OCC’s August 2014 consumer debt sales guidance, regarding debt sales? • The CFPB has stated there is a need for national documentation standards to maintain the accuracy of information used to collect debts. Do you agree with this need and what is your agency doing to advance this goal? • What are you doing to ensure that financial institutions provide accurate and comprehensive information to debt buyers? Have you considered requiring substantiating account-level documentation as well as a record of consumer disputes? • What supervision do you have over debt buyers? What due diligence would you expect a financial institution to perform when selecting a debt buyer? Do you have authority to supervise debt buyers that are owned by a financial institution? If so, how frequently do you conduct examinations? • The OCC guidance recommends that banks conduct look-backs to determine whether debt buyers the bank contracts with has engaged in practices that hurt consumers. Have any of your agencies required a financial institution to conduct such a look-back? • What information is provided to consumers at and after debt sale? Have you considered requiring supervised institutions to provide consumers notice of the sale, including a breakdown of the charged-off balance and the name of the debt buyer? • Have you considered restrictions on types of accounts that can be sold, such as those discharged in bankruptcy, in dispute, settled, owned by a deceased consumer, or where there is unclear ownership of the account? The OCC has designated certain types of debt as not being appropriate for sale, including zombie debt. What oversight is performed to ensure that these debts are not sold? • How do you coordinate with the CFPB, the FTC, state regulators, and each other to resolve issues related to debt sales and debt collection? The legislation … The letter … no real history of interest in this area. It makes you wonder why, all of a sudden, Sen. Brown is so interested in the debt-buying industry. One individual I spoke with about Sen. Brown’s letter characterized it as “naive.” What someone who has no real foundation or understanding of the debt buying industry would ask. The questions are seemingly superficial. What is he going to do with their answers? The debt-buying industry is not the Wild, Wild West anymore. Buyers and sellers have a number of regulations, case law, and settlement reports from the Federal Trade Commission to know the right way to conduct business. This crucial industry is already suffering because of additional regulations being placed on it. More laws could be the industry’s death knell. Sen. Brown says that more care and caution is needed to avoid credit reports that still contain debts that have “already paid, debt discharged in bankruptcy, or debt that was erroneously incurred through identity theft or fraud.” The issue is with the credit reporting agencies, not the debt buyers and sellers.